Happy Friday! How was your first week of December? Mine was productive. I’ve stored away all of the Thanksgiving and fall decor and have started pulling out the Christmas lights, trim and ornaments. One area that I’d like to refresh with a festive wreath is our newly painted front door. It’s black with brass hardware like the one featured above. 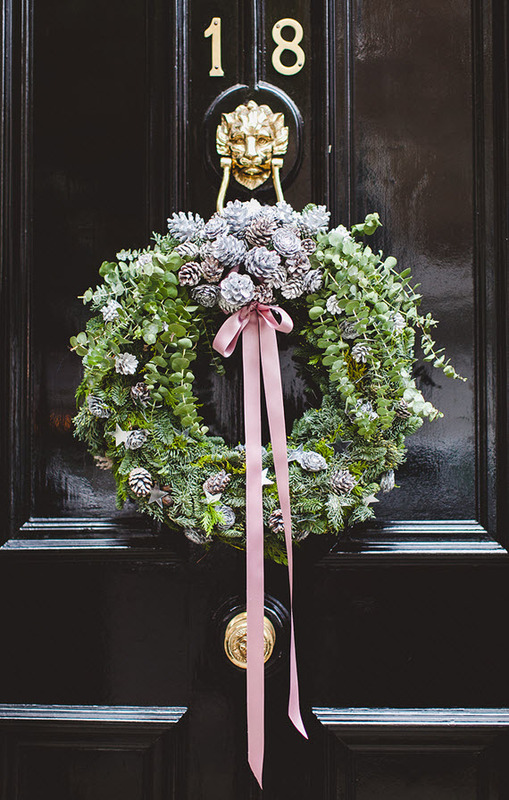 So I’ve been on the hunt for holiday wreaths and although didn’t find the beautiful one that hangs on this door, I did find a variety of styles that may work. The first one is gorgeous… and that glossy black door and brass lion don’t hurt either!